It is finally here!!! 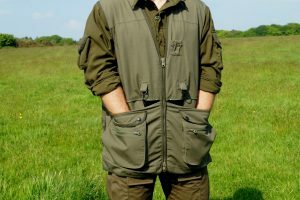 After 5 years of hard work when i started with Fortis, we have worked on various vests and this one has been information gather from around the globe, with the help of Kit and Cath Taylor at Muntjac Trading and their extensive knowledge of the gun dog world we have produced the newly designed Fortis Training Vest. 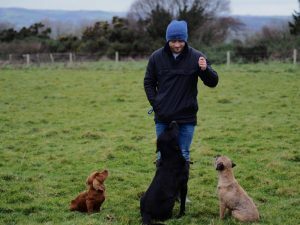 This versatile and brilliant vest has been designed from the public, we have used dog trainers from around the world to leave their comments on what they believe a good vest entails. Draw string for shape when training in just a shirt in the summer. Made of lightweight but exceptionally strong ripstop 230 grams, this vest that beats all others. 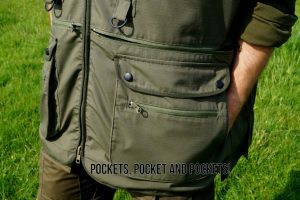 Innovative pockets with all the essential fittings and massive capacity. We have listened to you, we have designed what you have asked and we will be finished with making them in August 2018. Please note; You will not receive your order until August. But as an incentive, we are allowing pre-ordering price at just £99! 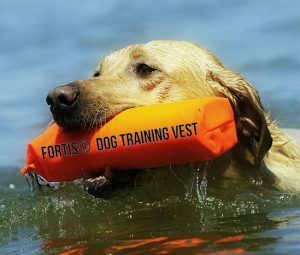 They will be £120 after August so get your orders in early! We look forward to seeing you all at shows around the country, this vest will be on display at every show and we will allow pre-orders at £99 and they are also available online.